Detail of Peitho from a painting depicting the tale of Leda and the Swan. 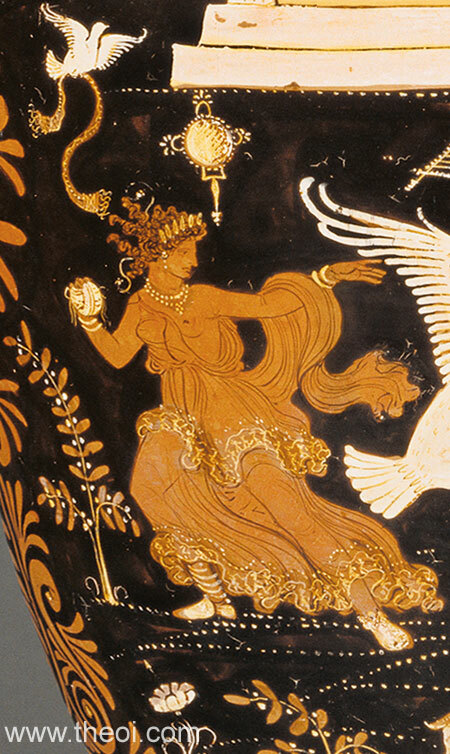 Peitho, the goddess of persuasion, assists Zeus in his seduction of the Spartan queen Leda. She holds a ball of twine in one hand and is accompanied by a white dove bearing a sash. Her hair is bound in braids and she wears a tiara crown, necklace, bracelets and earrings.